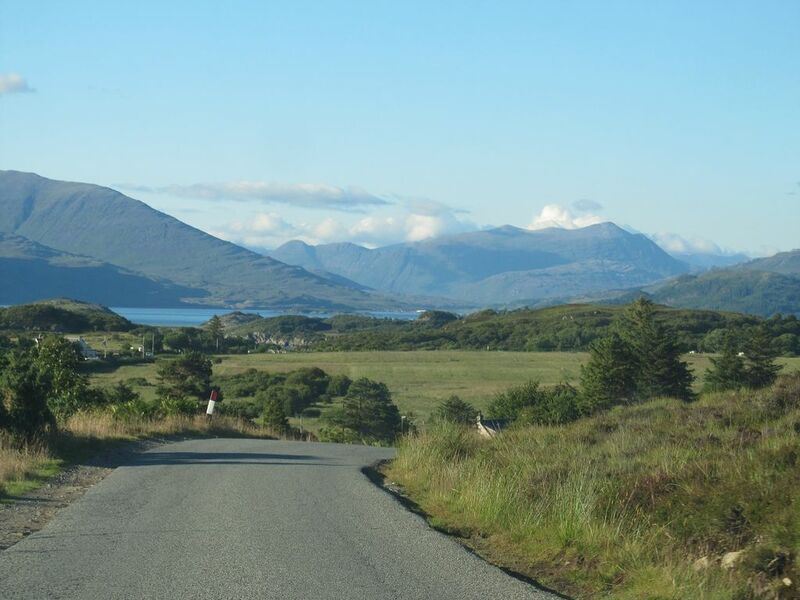 Driving to the North West Highlands is an adventure in itself with a wonderful array of visual highlights helping to break up the journey into sections of pure joy. Ultimately it becomes an increasingly brilliantly evolving trip into a vast mountain wonderland. Yep I still get extremely excited heading to the Highlands. For those familiar with the western drive you know what awaits, for those that don’t then you really really need to do it – and hope the weather’s good. 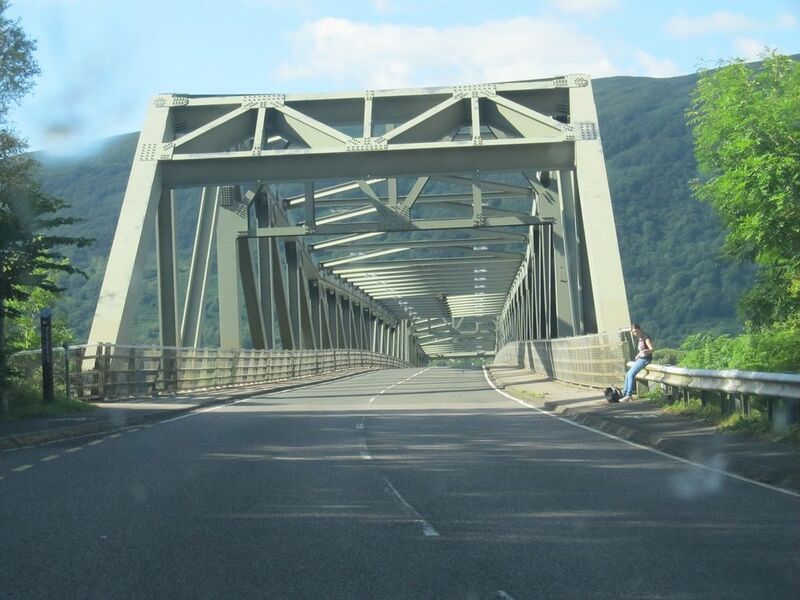 Whiz up the M74, spot the first sight of a Munro (Ben Lomond), cross the Erskine Bridge, join the renowned A82. Try desperately to overtake any slow traffic before the narrow Loch Lomond section. Pass the incredibly quirky Drovers Inn, often a food stop on the return journey, full of stuffed animals of every type including a Bear & a Haggis, you HAVE to call in! Next it’s everyone’s favourite, the peak of Buachaille Etive Mor the Shepherd of Glen Coe, it’s difficult staying on the road here! 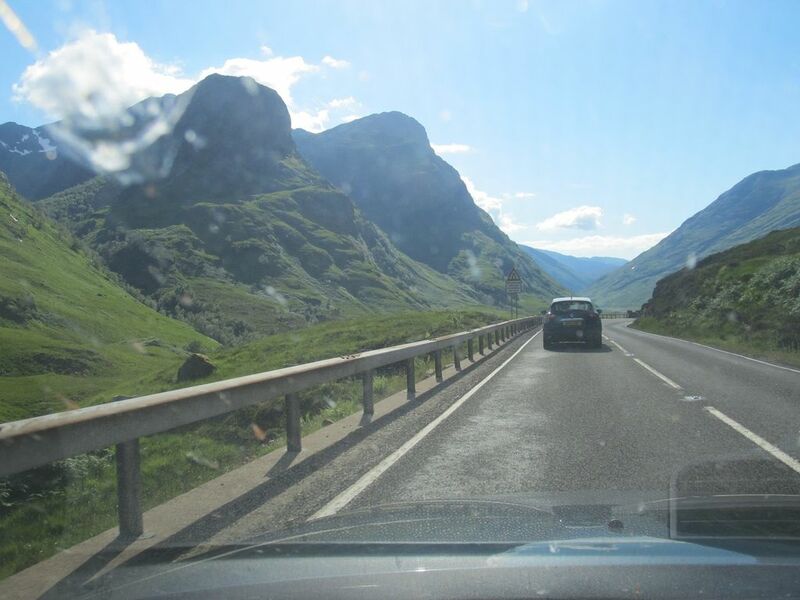 On through Glen Coe, the Aonach Eagach to the right, Three Sisters to the left, busy car parks, possible piper, Japanese tourists, then tempt death by trying to overtake a coach or lorry. 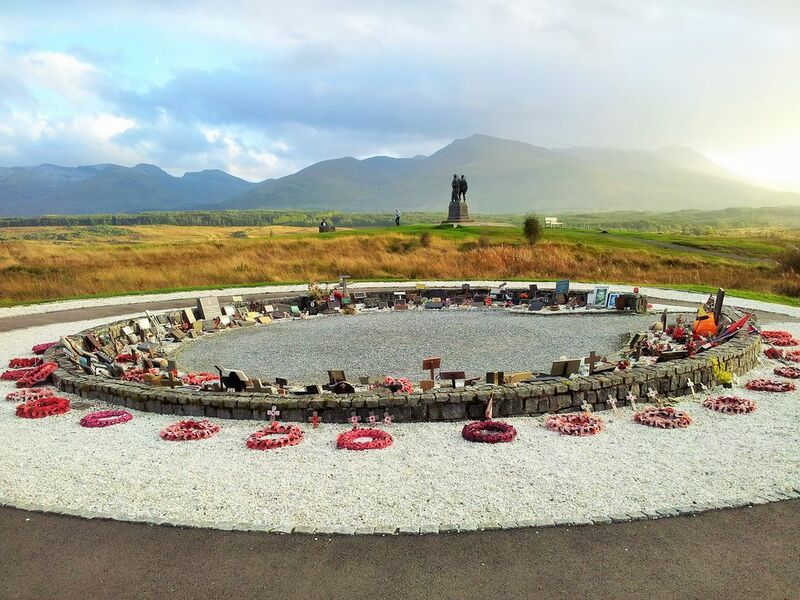 Fort William – actually an anti-climax, but useful for overtaking a few slow tourists. The last petrol station past the town is also the last chance of cheapish fuel, (quick choccy break). 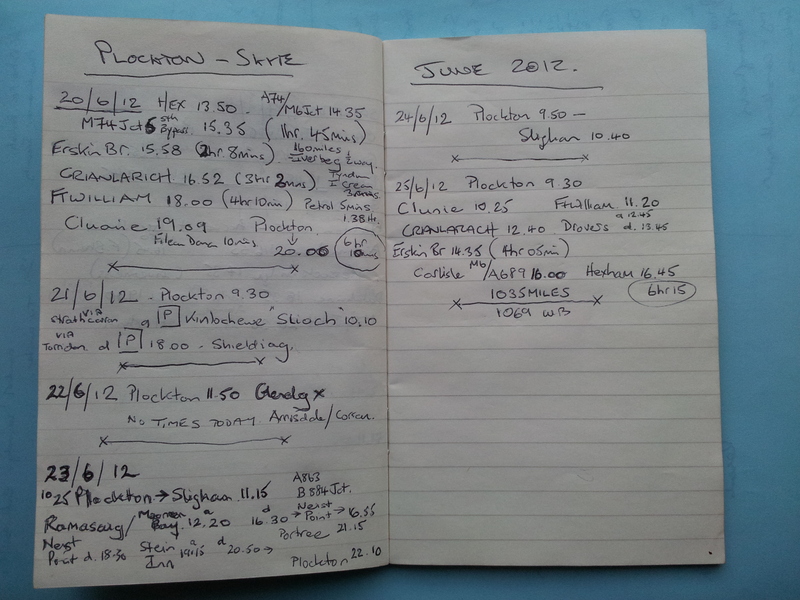 Update July 2013, last petrol station more expensive than the first two. Off again with Ben Nevis to the right, hoping slow traffic turns off at Spean Bridge! 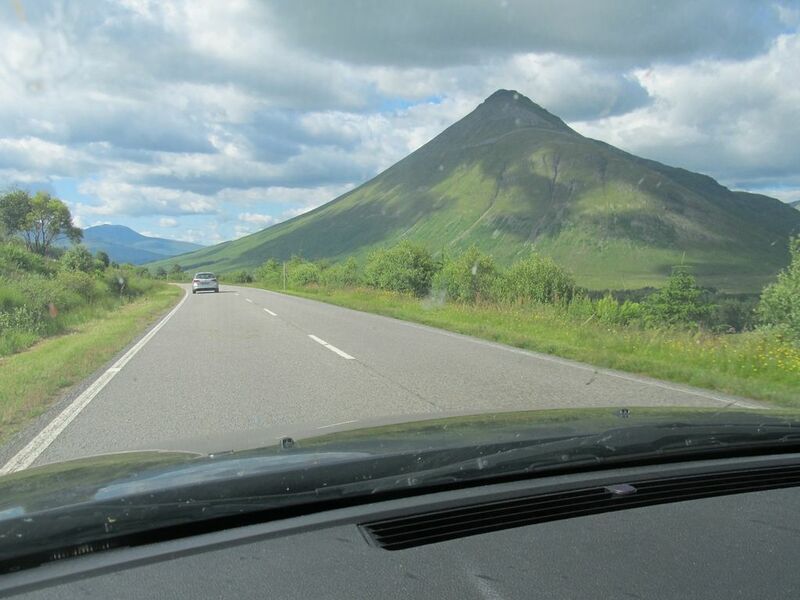 Finally leave the A82 behind, turn left on the A87 and up to the Glengarry Viewpoint where a whole new horizon of marvellous mountains bursts into view, causing yet more driving distractions. Drop down to the start of Glen Shiel, a stunning giant version of Glen Coe with imposing steep mountains and changing views, a memorable drive northwards best done in the quietness of an autumn evening. Leave the confines of Glen Shiel for the openess of Loch Duich and yet more breathtaking views this time over the water. 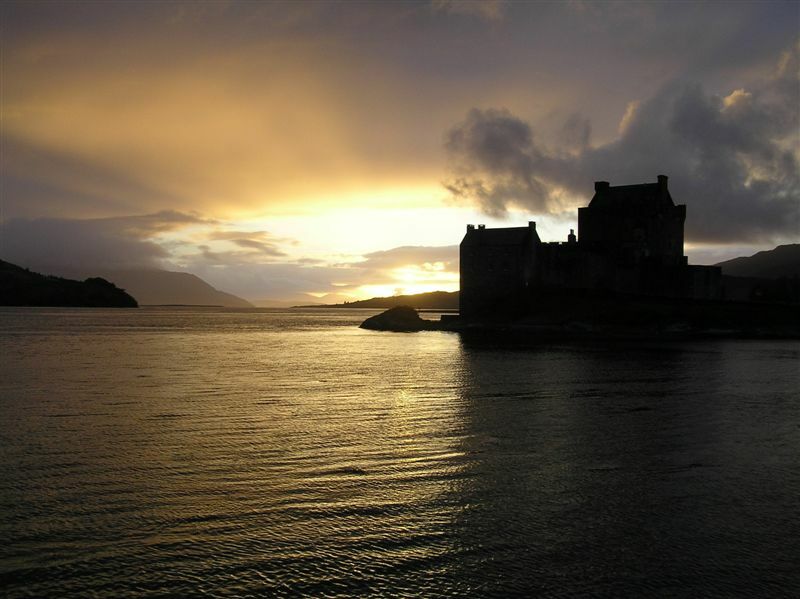 Scotland’s most photographed castle, Eilean Donan lies ahead, ridiculously busy during the day but if a nice evening a quick stop at the car park yields stunning sunset pics. You can even hop over the wall onto the bridge and walk round the castle headland saving yourself a few quid. 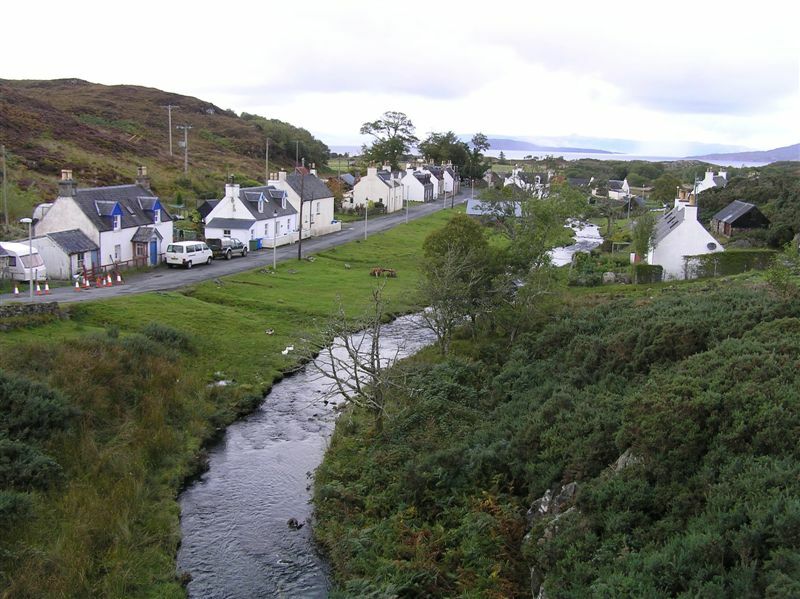 Continue on and hopefully see Skye & the Cuillins before approaching Kyle of Lochalsh. 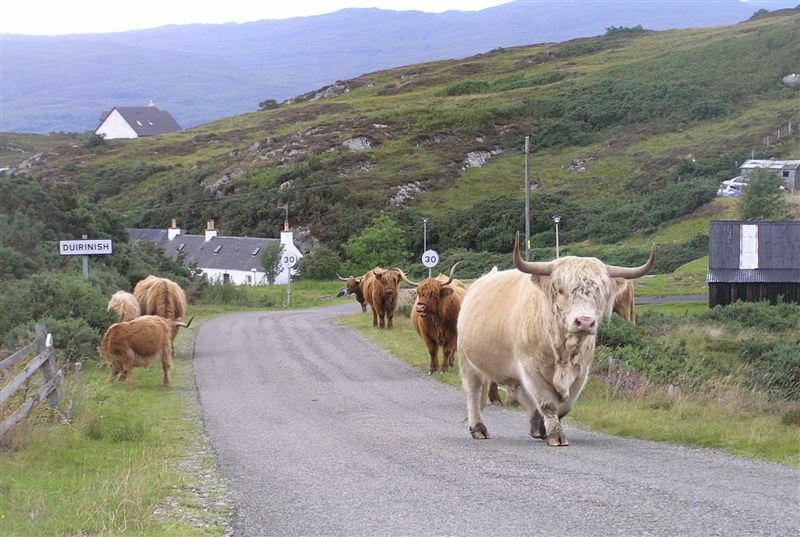 …with the hamlet of Duirinish a particular highlight often with Highland Cattle. Sunsets over the Cuillins & Raasay offer further distractions in the rear view mirror. 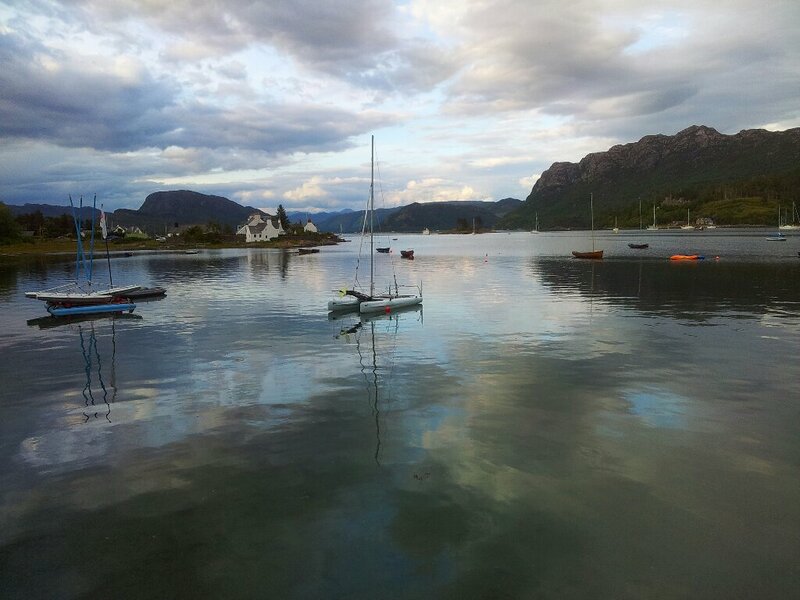 If you haven’t driven off the road yet then finally you arrive in Plockton, simply stunning in its own right and a fitting end to a driving adventure. It also has some bloody good food and beer too. 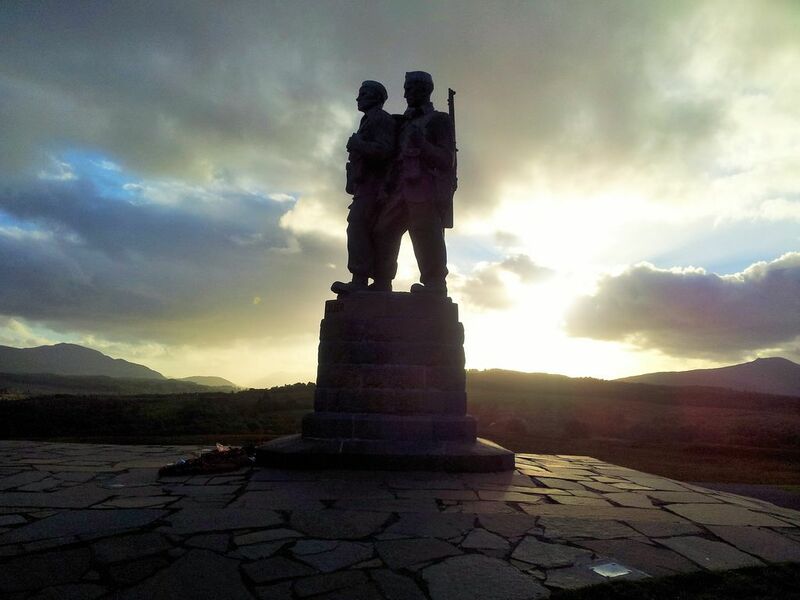 So that’s my Highlands drive, thanks for reading my first blog and please do let me know if I’ve missed anything? 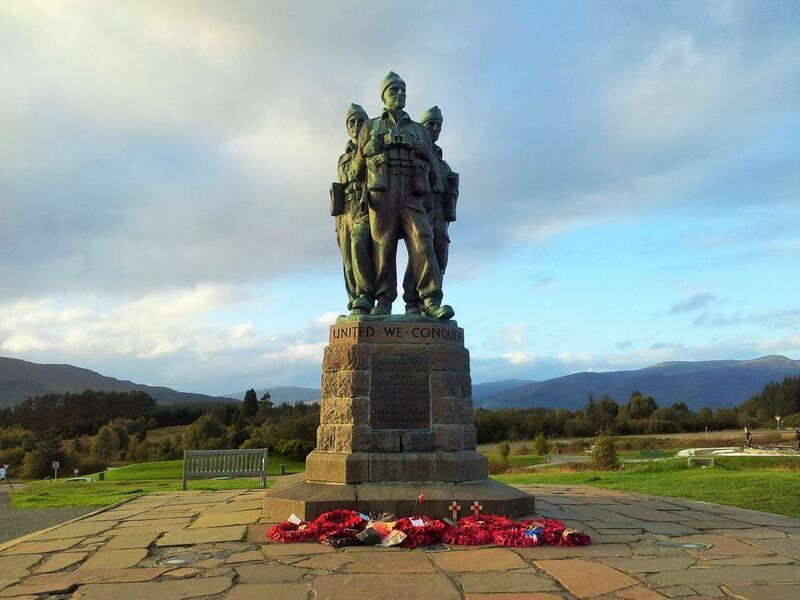 This entry was posted in Scottish Highlands & Skye and tagged A82, Ballaculish Bridge, Crianlarich, Driving to the Highlands, Duirinish, Eilean Donan, Glen Coe, Glen Shiel, Highland Cows, Plockton. Bookmark the permalink. 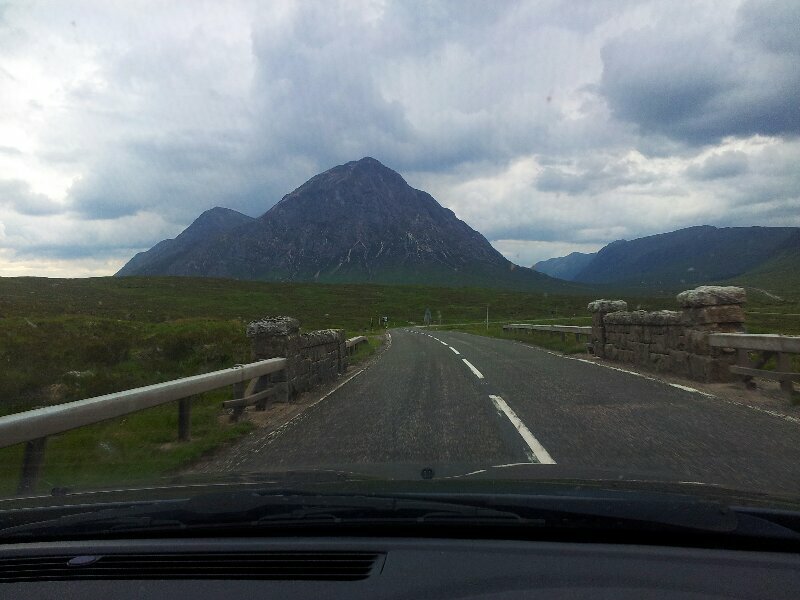 7 Responses to Driving to the North West Highlands! Hooray. You’ve joined the blogging set. I loved this Mart. 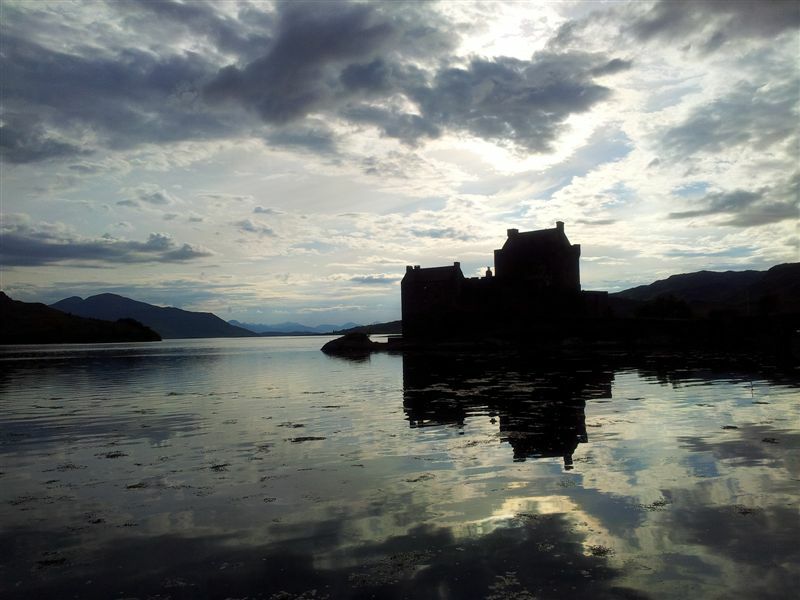 The image of Eilean Donan is exquisite. And I want to know more about your mate Alan too. Great stuff! And keeping lists and notebooks isn’t geeky. I do it all the time. I have a list of every walk I have done since 1978; a list of every book I have read since 1975 etc etc. My wife has diagnosed me as suffering from what she calls “Skod” ie Some kind of disorder! Thanks Mark, Plockton’s definitely better than the name suggests although I’ve never heard it described that way before 🙂 You won’t disappointed if you visit.